In the summer of 1986, Vangelis travelled to Los Angeles. During this time, he composed music on a portable keyboard which was set-up in his hotel room. It was here he wrote his third composition for The Royal Ballet, entitled ‘Beauty and the Beast’, which was to premier in December. The ballet featured lavish stage designs by Jan Michel Pienkowski. Vangelis also performed solo in a rare concert at the Royal Hall in UCLA, improvising many of his familiar compositions, without assistance from tapes or pre-programming. In 1987, Vangelis was invited to perform at two concerts by the Greek culture minister Melina Mercuri. The concerts were held at the ancient Odeon of Herodes Atticus amphitheatre, in Athens. The performances were in support of the Acropolis Preservation Fund. Later that year, Vangelis finished the score for the Frédéric Rossif documentary De Nuremburg à Nuremburg, which gave an insight to the rise and fall of the Nazi regime, as well as depicting the tragic human suffering. The film remained unreleased for two years, before its first public airing on French television in 1989. Sadly, after 13 years, his legendary London-based Nemo Studios closed its doors. By the mid-1980s, he was able to maintain a scaled-down version of his large recording studio, which was no bigger than a small office desk. This configuration allowed Vangelis to be mobile, enabling him to travel around the world, yet he was still able to record music everyday from any location. The first album to be written in the post-Nemo Studios era was ‘Direct’, released in September 1988. The album consisted of a colourful collection of delicate symphonic music. The music on ‘Direct’ flowed effortlessly and evoked a sense of optimism for life. 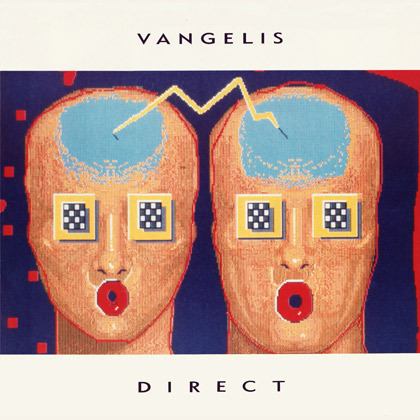 This release marked a new beginning for Vangelis, carrying his experimental sound explorations into the next decade. In July 1989, the compilation album ‘Themes’ was released. This was a retrospective look at Vangelis’ 20 years in film music. It included previously unreleased cues from Blade Runner, The Bounty, and Missing. 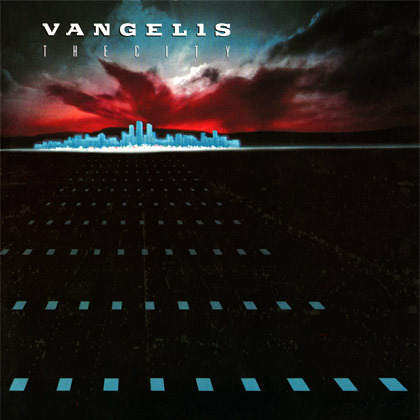 The album reintroduced Vangelis’ music to a new audience and received great critical acclaim. The music media, in particular, celebrated the eloquence and longevity of Vangelis’ music, which had stretched over a 15-year period. While on a visit to Rome to write the musical score for the film Francesco, Vangelis spontaneously wrote a series of compositions in his hotel suite. The recordings reflected a day of bustling city life, from dawn until dusk. The album incorporated a variety of sound samples from everyday life, and the listener could easily imagine actually being there, as the music created wonderful visual images of city life. The album was released the following year, in 1990, and simply called ‘The City’.